I was in Vegas last weekend, as anyone who follows me on Twitter or Instagram knows. 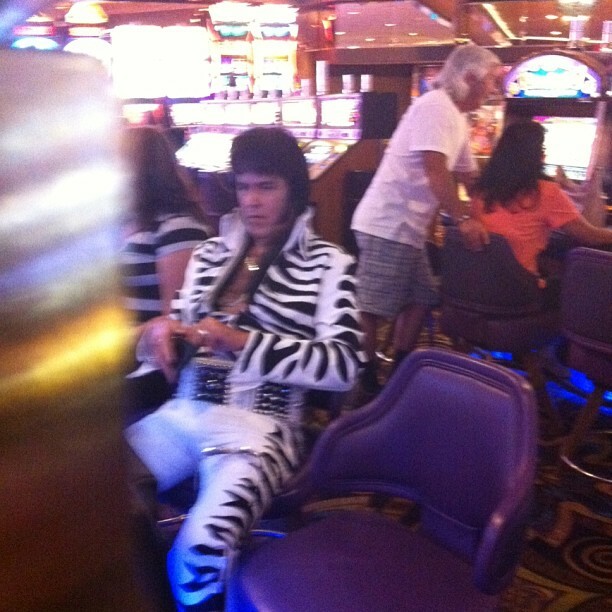 I really, really love Vegas, as anyone who knows me knows. Behind the opulence and drunkenness and overall fakery, it’s a city of obscure holes-in-the-wall and surprising secrets. That, and gambling, which I enjoy (I like playing games)! But, it’s nice to be home, and facing a temperate weekend filled with fun things to do. See below. Fun! The Hammer does all sorts of cool events during the summer. See some art, see some film, get some air, and some inspiration. 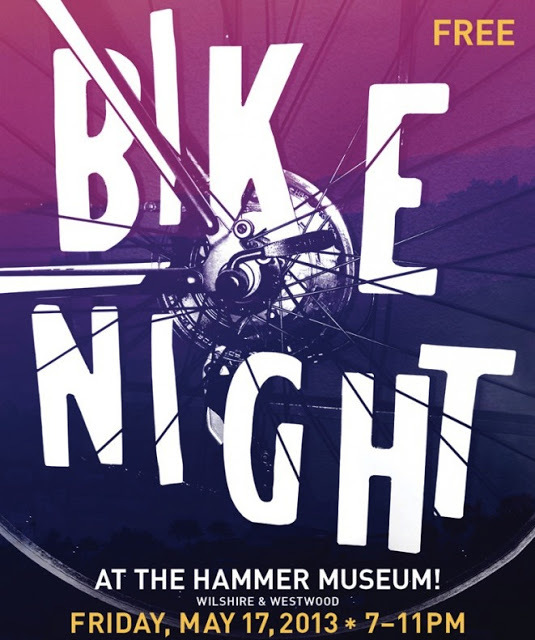 Festivities include bicycle portraits, a screening of the 1983 Australian action movie BMX Bandits (starring a young, not-yet-famous Nicole Kidman), bicycle-centric crafts, and free admission to the LLYN FOULKES exhibit. Guest hosted by artist and bicycle enthusiast/activist Lisa Anne Auerbach. Dust off your wheels and head over! 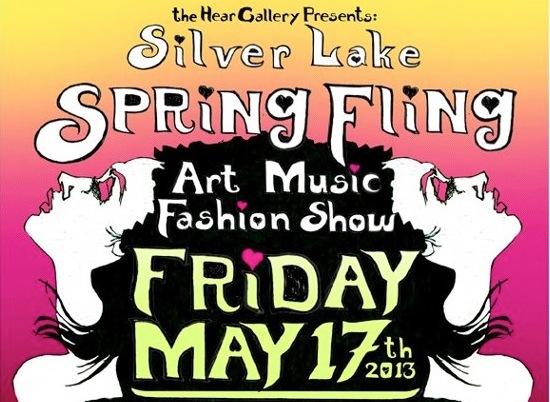 On the other side of town, Los Globos hosts a Silver Lake Spring Fling Art-Music-Fashion-Show, featuring a runway show by Living Divine Vintage, four bands, two dj’s, a variety of live artists, body painting, and fashion vendors. 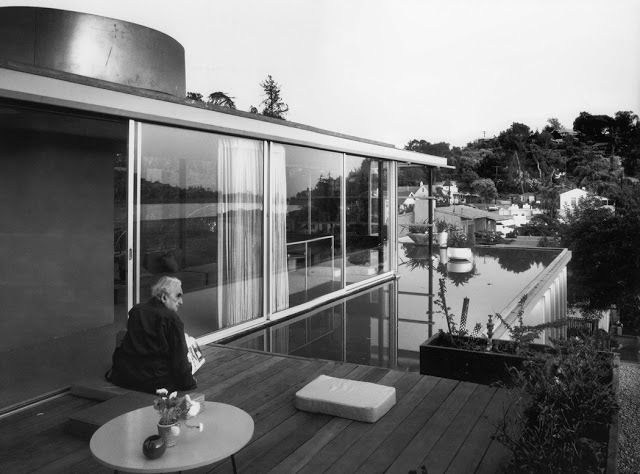 DeLab is hosting a undraiser at the Neutra VDL Residence to preserve the modern gem. Your $20 ticket includes wine and snacks, as well as the opportunity to watch the sun set over the Silver Lake Reservoir. Though the VDL Studio and Residence is open to the public every Saturday from 11am to 3pm, DeLab’s “Raise the Roof” party will offer a rare glimpse of the house at dusk with all of the reflecting pools filled. Scion’s gallery and retail space on Melrose brings New York City-based fashion label Hood By Air to the west coast for the brand’s first pop up retail installation. They’ll celebrate with an opening reception on Saturday. 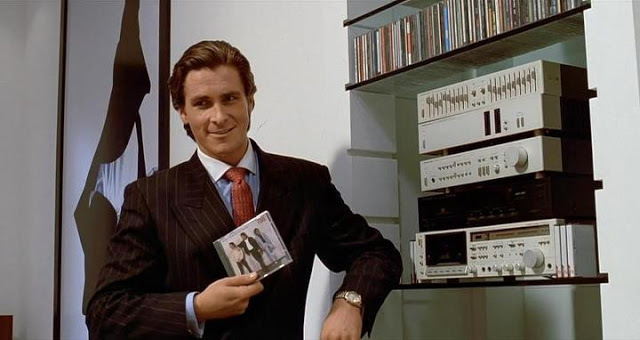 The second screening of the Cinespia season of films in the Hollywood Forever Cemetery is American Psycho. 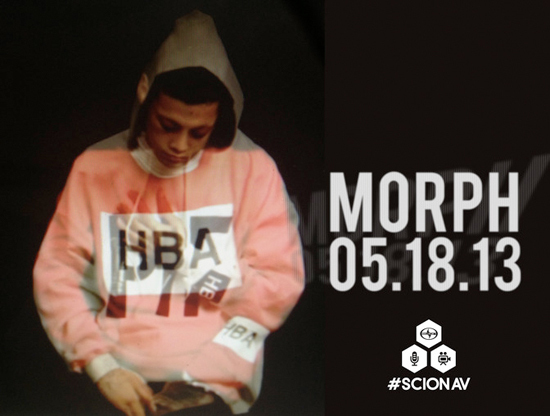 This one will be popular, so get there early. Bring a picnic, bring beer, wine, or cocktails, try to out-do your neighbors in decadence. But, be polite and don’t bring tall chairs. 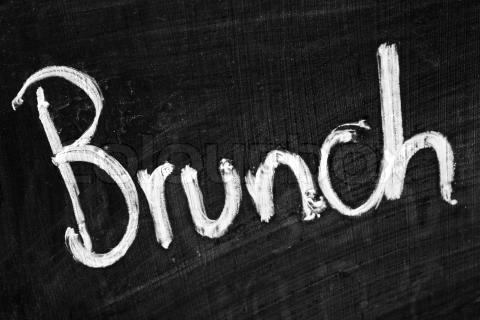 Have an early boozy day in Echo Park with Lot 1 Cafe to the tunes of some great local bands. 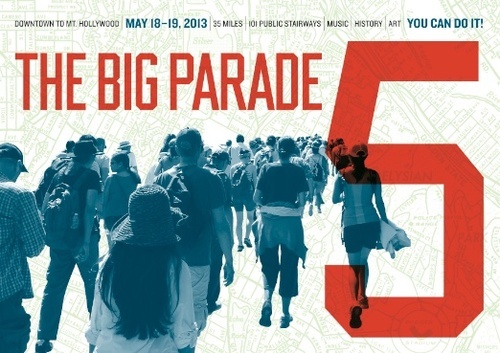 The Big Parade is a two-day walk in Los Angeles, because everybody in LA walks – when there’s a fun reason for it! The parade includes about 100 public stairways over 35 miles, from downtown to Mt. Hollywood. The walk runs on a timetable, and is designed as a series of attached loops, so that people can come and go as they please. Join in for a mile, an hour, or the full two days. It’s designed to be fun, like an actual parade. Along the way, there’s music, art, history, guest speakers, and lots of surprises. Saturday will include two talks about architecture and preservation, along with other cultural talks. The main loop for Day One incorporates Echo Park. It includes a lunchtime performance from the Ukelele Orchestra of the Western Hemisphere and about 25 stairways. Because it happens in a relatively compact area, it is very possible to leave the walk and get to the start point quickly without doing all the stairs. Sunday is shorter, with some cross-country sections, including a finale segment through Griffith Park. It includes poetry readings, a discussion of urban parrots, a visit to the beautiful and secret Corralitas Red Car Site, and a lunchtime performance by the Swords of Fatima. It Departs 8:30 AM at the bottom of the Music Box Stairs, Vendome at Del Monte, in Silverlake. For more Big Parade ancillary events, visit the website.